Join us for the Thanksgiving Holiday! We will be open for Brunch at 10:00am on Thanksgiving Day serving our delicious brunch menu until 3:00p.m. From 11:30am through 10:00pm. 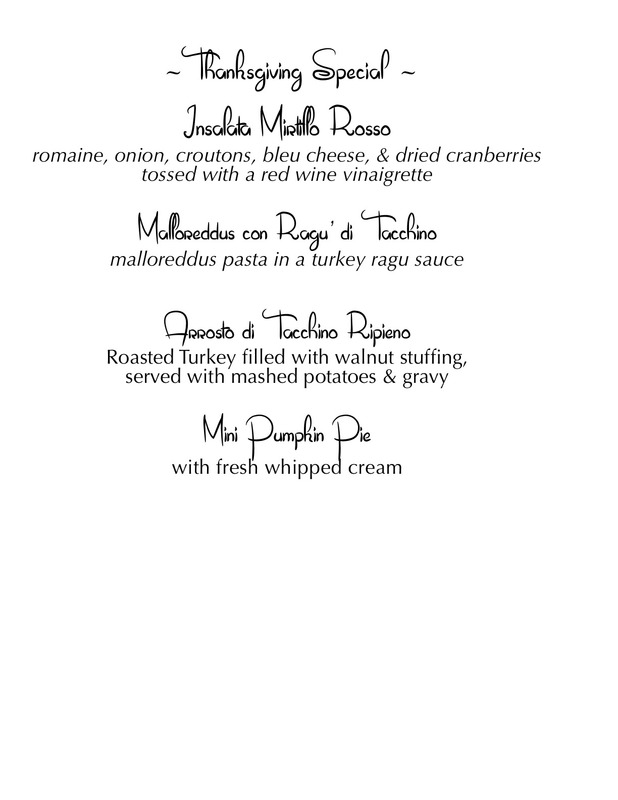 we will have our dinner menu available along with specials for the afternoon and evening ~ including a Thanksgiving special meal (shown below). This entry was posted in News and Events on November 25, 2014 by Bellagio.